Located in a rural location, this family-friendly farm stay is within 6 mi (10 km) of Museo della Mezzadria, Val di Merse, and Museum of Sacred Art in Val d’Arbia. Castello di Montepescini and Monte Oliveto Maggiore Abbey are also within 9 mi (15 km). 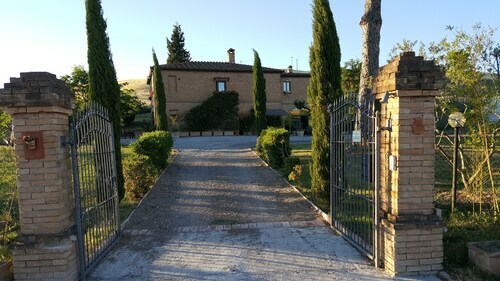 Situated in Buonconvento, this golf bed & breakfast is 6.8 mi (11 km) from Monte Oliveto Maggiore Abbey and 9.9 mi (15.9 km) from Fortress of Montalcino. Abbazia di Sant'Antimo is 14.7 mi (23.7 km) away. 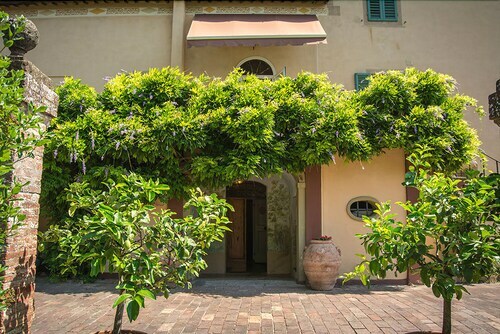 Situated in Buonconvento, this apartment building is 2.5 mi (4 km) from Museum of Sacred Art in Val d’Arbia and 2.5 mi (4 km) from Museo della Mezzadria. Torrenieri Montalcino Station and Val di Merse are also within 9 mi (15 km). Situated in Buonconvento, this hotel is within a 5-minute walk of Museum of Sacred Art in Val d’Arbia and Museo della Mezzadria. Val di Merse and Monte Oliveto Maggiore Abbey are also within 6 mi (10 km). Buonconvento Station is only a 3-minute walk. 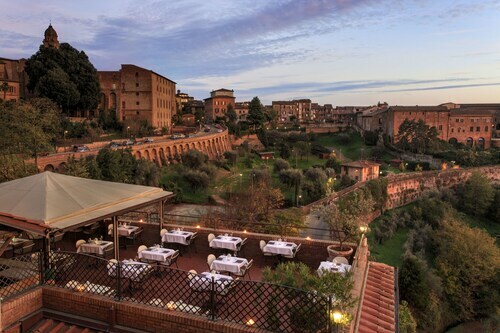 How Much is a Hotel Room in Buonconvento? 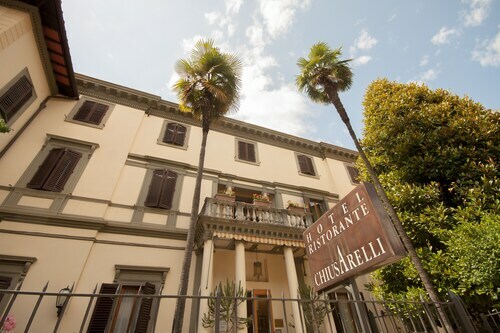 Hotels in Buonconvento start at $85 per night. Prices and availability subject to change. Additional terms may apply. Researching for an adventure in Buonconvento? There is a wide range of accommodations from which to choose. Enjoy looking through the 27 hotel options on Travelocity, all conveniently located within a 6-mile (10-kilometer) radius of the city's center. 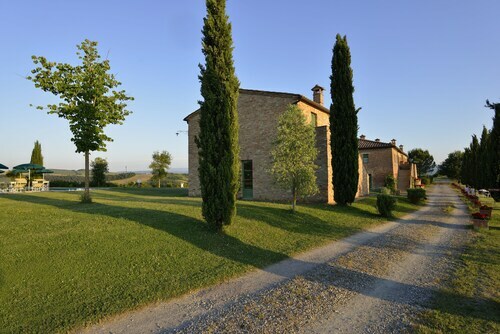 Some accommodation options situated close to the center of downtown Buonconvento are the Casa Vacanze La Fornace and Podere Salicotto. 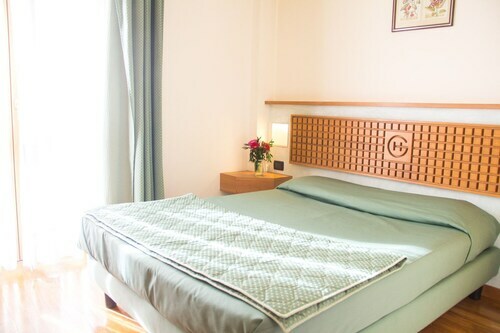 Buonconvento features only a handful of budget hotels; you'll find the Fattoria Pieve a Salti conveniently situated 3 miles (5 kilometers) from the center of town. 12 miles (19 kilometers) away from downtown Buonconvento, you can find the Castello Banfi - Il Borgo. Alternatively, the Rosewood Castiglion del Bosco is positioned 5 miles (8 kilometers) away. Some more places to stay worth checking out around Buonconvento are the Castello Di Vicarello as well as the Castel Monastero. If time is on your side, why not discover the many other attractions located in Tuscany while you are here? Move around Tuscany's ruins and castles. Lovers of the great outdoors should put aside some time to check out the region's rural landscapes, beaches and coastal plains. Common activities in this pocket of Italy include snowboarding and skiing. 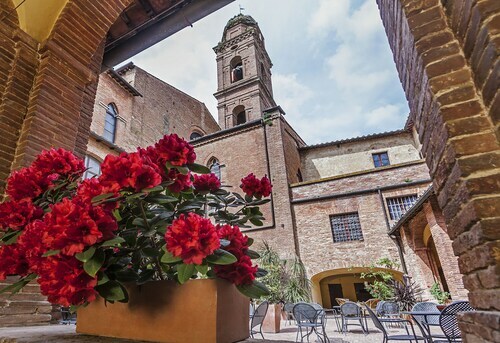 25 miles (42 kilometers) away from Buonconvento, you'll reach Val d'Elsa, where visitors can enjoy Archeological and Collegiate Church Museum and Torre Rognosa. The Tenuta Di Mensanello and Torraccia di Chiusi are just some examples of the Travelocity short and long-stay choices in Val d'Elsa. 11 miles (18 kilometers) southeast of Buonconvento, you'll find Val d'Orcia, which features the Adler Thermae Spa & Wellness Resort and Hotel Osteria Dell Orcia. The Collegiate Church of San Quirico and Palazzo Chigi are some of the more frequented places to experience when visiting Val d'Orcia. If experiencing the thrill of stadium sport is a favourite pastime, don't overlook a trip to Stadio Artemio Franchi, situated 45 miles (73 kilometers) to the north of Buonconvento. 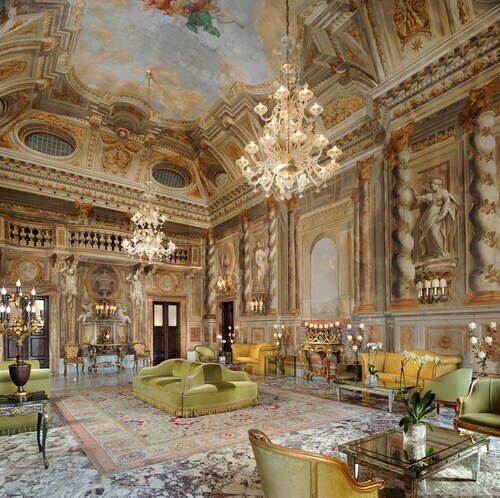 Find accommodation in the thick the action at the Four Seasons Hotel Firenze or the The St. Regis Florence. If you are flying via Peretola Airport and plan to stay in the area, have a look at Torre di Bellosguardo or Sina Villa Medici. The room is beautiful, if a bit small but nonetheless it is beautifully decorated. I had a lovely view of the sguare and the hotel staff is very friendly. I had a wonderful stay. I will return."